Life, Doctor Who & Combom: Guess who's Back, back again? In this role, Starkey plays previously seen character Commander Strax who is the the Butler of a rather familiar character, Madame Vastra. 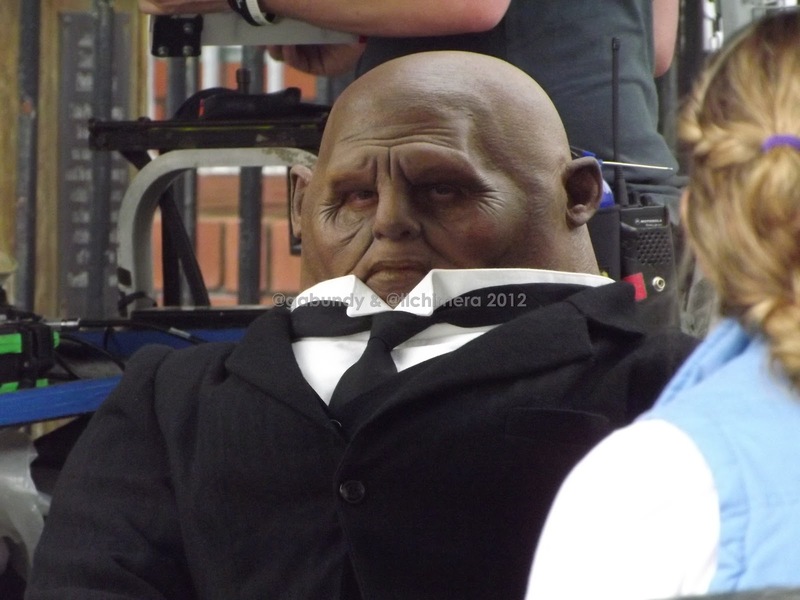 We also get to not only see a Sontaran in a suit - but in a top hat too! 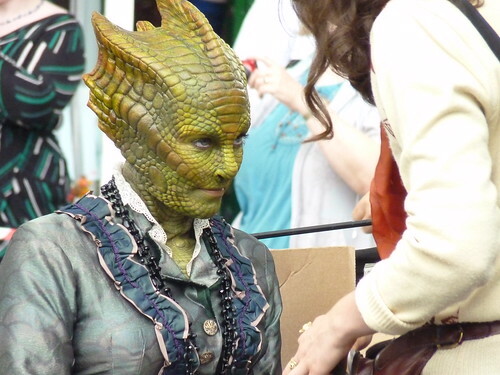 Jenny is yet again seen on screen alongside popular Silurian Madame Vastra. It is identified that this episode is set in Yorkshire in a town. She is wearing the usual maid getup and has been seen having a one-to-one conversation about 'Clara' to the Doctor in a scene. Silurian, Madame Vastra makes her second appearance in this episode and can be seen walking about the town (like it's something you see everyday...) with a veil over her head and a hat on. Sontarans are a clone species? 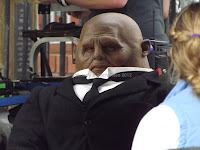 So it could be another of Strax' "brothers from the same batch! I never got the notion Strax died. River was charged with returning them to their proper places and Vastra took an obvious interest in Strax. I had hoped this would happen and this looks more and more like a spinoff may be forming.